How to share trails or profiles from the Web? Do you want to know how to share your profile or an ORG account profile from the App? 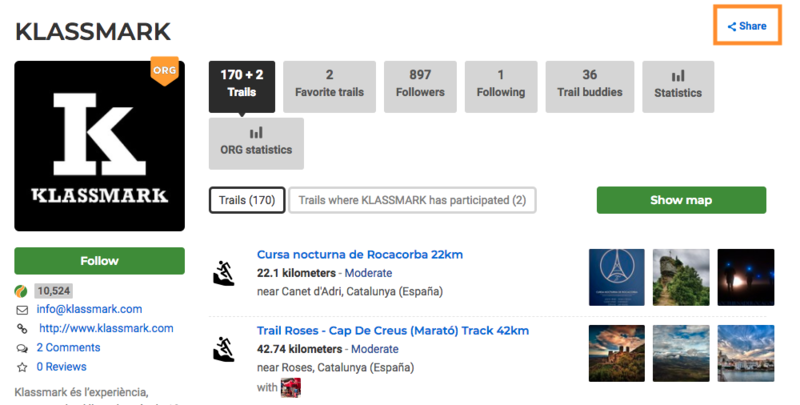 On a trail or profile, click on the "share" button at the top right of the trail map or user profile. 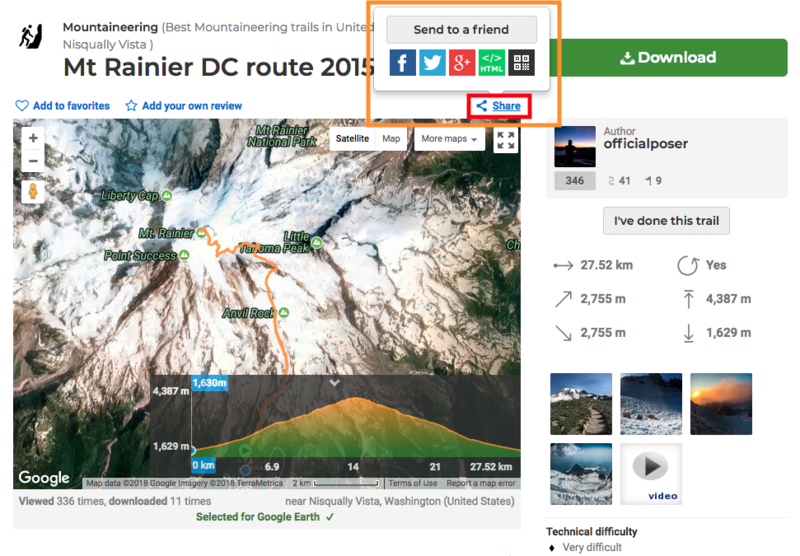 Send to a friend: Add an email and share the trail or profile with who you want! QR Code: Open the QR code for your friends to scan it with the new in-app QR code reader. (To see this option, you must have logged in to the App with your Wikiloc user). Learn more.